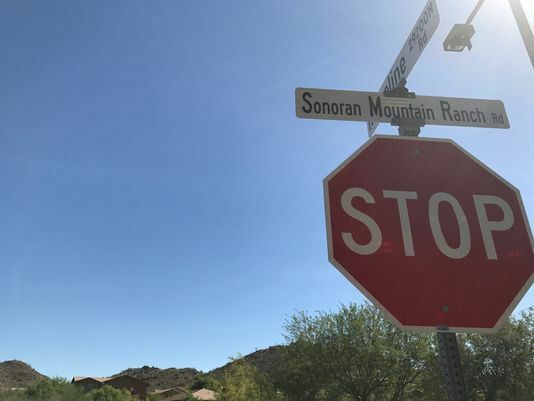 Peoria, Arizona—Four teenage girls were transported to area hospitals after a crash Wednesday morning near Sonoran Mountain Ranch and Ridgeline roads in Peoria. Peoria Fire Department accident responders report that one of the victims sustained life-threatening injuries. Two of the others suffered serious injuries, while a fourth incurred only minor injuries. A pickup truck struck the driver’s side of the girls’ sedan. The unidentified male driver of the pickup was not injured. Accident investigators have not released the names of any of the victims as they continue to explore the cause of the accident. We wish all who were injured swift and complete recoveries.